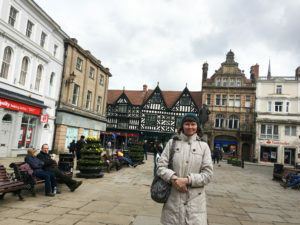 Shrewsbury is an ancient market town in Shropshire, about 3 hours drive from London. Its streets were quiet and relaxing, when we visited on Easter Sunday. 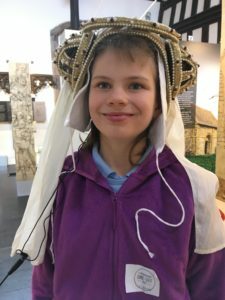 During the Roman occupation, this area was an important centre, with many Roman finds now on show at the local history museum, which is now in an old Music Hall building. 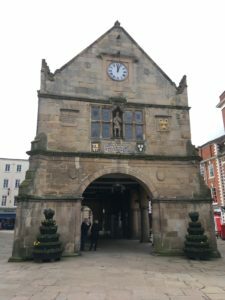 The history of Shrewsbury goes back to Anglo-Saxon times, when it was the capital of the kingdom of Powys. Being only 9 miles (14 km) from the Welsh border, it has seen many a conflict between the Welsh and the English, as testified by the Norman Castle, built in 11th century. The Shrewsbury Abbey was built around the same time, and closed by Henry VIII in 1540. 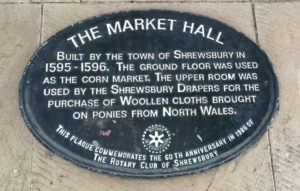 The town flourished in the middle ages, with Shropshire’s booming wool trade, and the river Severn and Watling Street being major trading routes. The River Severn is the longest in the UK and the greatest in terms of water flow in England and Wales. Looking quite and serene today, it has presented the local area with flooding problems in the last 20 years. Local soldier and statesman Robert Clive was Shrewsbury’s MP from 1762 until his death in 1774. Clive also served once as the town’s mayor in 1762. Known as Clive of India, he was instrumental in establishing British control in that country. Charles Darwin was born in Shrewsbury on 12 February 1809. He went to Shrewsbury school and spent his formative years studying wild life here. 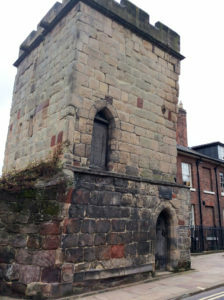 The industrial revolution largely by-passed Shrewsbury, as it was at some distance from large manufacturing centres or ports, and it suffered little during the Second World War – resulting in the town largely preserving its medieval street plan, with 660 listed buildings.